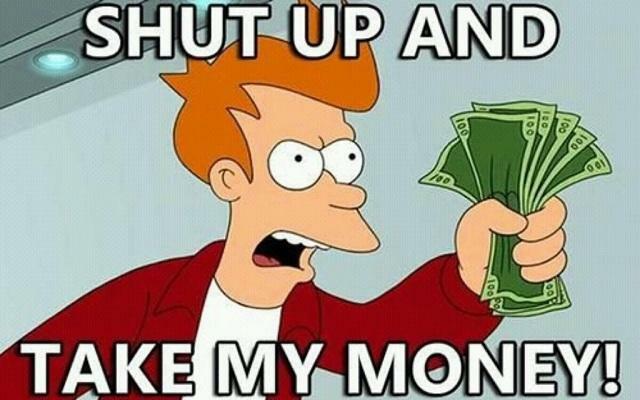 4 Wii U Games that Made me Yell "Shut up and Take my Money!" Yesterday, Nintendo held a special Wii U event in New York in order to unveil the launch date and price point of their newest console. They also let members of the press partake in several of the first and third party titles planned for the system’s launch window. I was fortunate enough to represent TechnoBuffalo in the fray of reporters. Between the preview event yesterday and my time with the Wii U at E3 in June, I’m ready to show you four games that I’m extremely excited for. Let’s start with my biggest surprise. I’m going to be completely honest here: when Nintendo Land was first unveiled at this year’s E3 presentation, I marked the game down as a complete bust. The way Nintendo presented it to the audience, combined with terminology like “theme park” and “attractions,” Nintendo Land looked like a half-hearted cash-in of Nintendo franchises. Good news, folks, I was wrong. 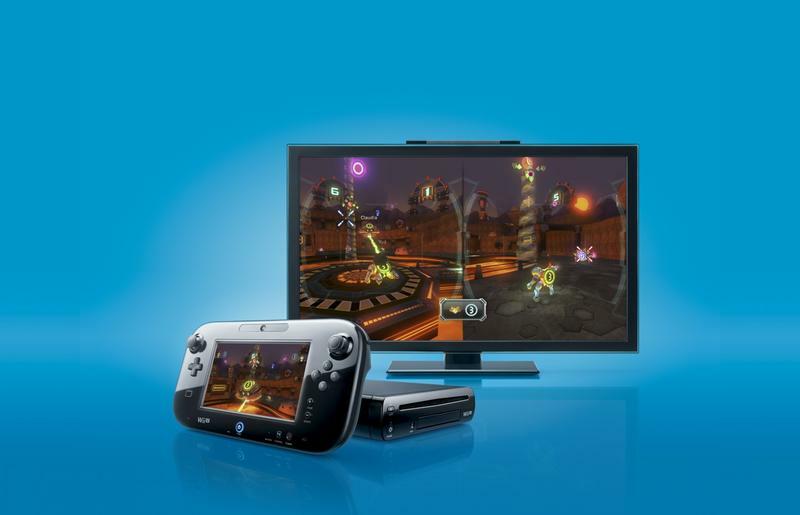 Here’s how I like to explain Nintendo Land to people… Remember Wii Sports? Remember how it was the game that showed you how to enjoy your Wii? The sporting events demonstrated the best ways to employ motion control mechanics. They did so with deceptively deep gameplay elements and mini-games. Nintendo Land is the Wii U’s version of Wii Sports. Only this time, we’re getting a rich hub world, exceptionally deep games and the Nintendo franchise themes we all love. This is a Wii Sports for diehard Nintendo fans. These “attractions” are more than just quickplay experiences. That’s the thing that Nintendo Land really has going for it. The concepts are basic and the games feel like they could be simple one-offs, but they each have a ton of stuff to offer up to gamers. And they each play entirely differently. 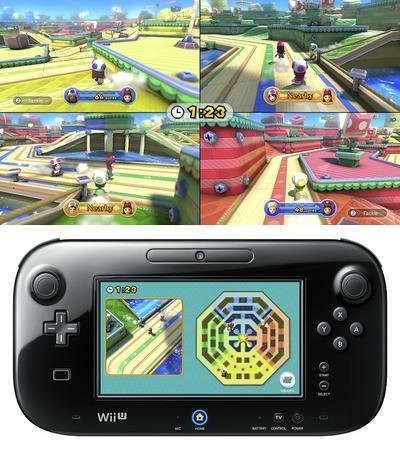 Mario Chase gives one player a top-down view of the map from the GamePad while others are forced to hunt them down using only the view in front of them on screen. 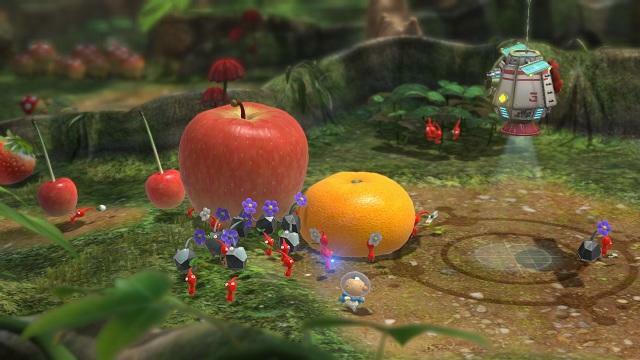 Pikmin Adventure lets Wii Remote users play as slapping grunts while the GamePad user stands as the field commander. Metroid Blast places the Wii Remote holder on the ground in third-person shooter style while the GamePad player fights from above in a ship. Each game presents different ways to play, and each game does so over more than one or two levels. Nintendo’s not getting into specifics about each attraction, but most that I saw hosted more than eight levels. Each level took about 20 minutes to play. Spread that over 12 attractions and you’ve got a massive game to play. I had a lot of fun with Nintendo Land. It was the one game that had me interacting with strangers on the demonstration floor. In Mario Chase, the four hunters during my session were actually yelling at one another in order to catch Mario. This doesn’t happen during these press events. Strangers don’t cooperate. If I can bring that fun with me when I game with friends and family, Nintendo Land will be a blast. Pikmin 3 was one of the titles not being shown off during yesterday’s preview event in New York. The game had a presence in the trailer of titles Nintendo showed during the opening press conference, but it wasn’t playable on the show floor. However, I did get a chance to play around 45 minutes worth of Pikmin 3 back at E3 this past June. Based on that experience, and what I’ve read and seen of the game online since, Pikmin 3 is one of four Wii U titles that have me reaching for my wallet. First of all, the game looks absolutely gorgeous. The rich colors and textures of the world mixed with the great lighting and water effects create this high resolution environment that I’ve never seen in a Nintendo game. I’d argue that Pikmin 3 is, in fact, the prettiest title in the launch lineup for the Wii U. While I recognize that Pikmin isn’t exactly the banner Nintendo franchise gamers love to get hyped for (read that as: it’s not Zelda), it is one of my favorite series from the company. The characters, the storylines and the strategic style of the game all mesh for a unique and enjoyable experience. Seeing it in action, playing it and knowing the Miyamoto is the driving force behind it are all reasons for my excitement for Pikmin 3. The single bit that has me sad about Pikmin 3 is that this game looks like it will be designed with a timer. 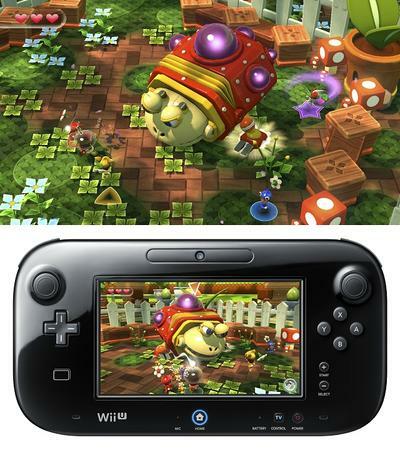 The original Pikmin sported the same mechanic. Basically, players were set down on the planet’s surface and given, say, 10 minutes to complete the objectives placed before them. The timer created an angle of unnecessary stress for players and turned a world that should be explored into one that’s rushed through. That timer vanished from Pikmin 2, and the resulting experience was more relaxing and fun. A while back, Shigeru Miyamoto (the man behind Pikmin) explained that he preferred the timer in the game. In speaking with Kotaku, Miyamoto explained that he gave the Pikmin 2 developing team a lot of freedom, which is part of the reason why the timer was absent. This time, he suggested, he’ll be more forceful with his opinions. My thoughts? Make the timer optional by creating two campaigns: timed and un-timed. Like Pikmin 3, The Wonderful 101 was not shown on the gameplay floor at this New York City event. However, I did play the game for 30 minutes at E3 this past June. Previously titled Project P-100, The Wonderful 101 is Platinum Games’ opening effort for the Wii U. This is a crowd control game where players lead hordes of people in a fight against invading forces. The Wii U-specific mechanics have players draw shapes on the GamePad in order for their crowds to assume the forms of massive weapons like a sword, a gun or a fist. You’ll need to mix basic melee attacks with these power-ups in order to take down massive and varied city-fighting foes. First of all, The Wonderful 101 is a massive departure for the folks at Platinum Games. Platinum Games is responsible for titles like Bayonetta and Vanquish. 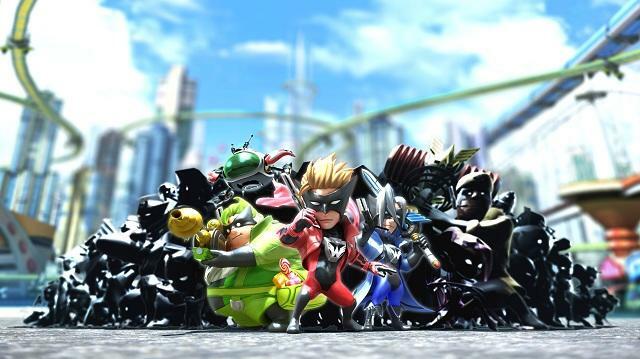 Compared to those, The Wonderful 101 is uniquely charming and presents a wildly different approach to gaming. That’s a big reason for my excitement. Furthermore, The Wonderful 101 is a great example of what third party developers can bring to the table for the Wii U. It’s one of the few Wii U exclusives that genuinely feels like it would have a hard time finding life on another platform. It’s games like these that will separate Nintendo’s newest console from the pack. Let’s hope other developers take the lead and produce truly one-of-a-kind efforts for the Wii U…instead of things like, say, Wipeout 3. Almost as surprising as my new-found lust for Nintendo Land is my lack of excitement for a piece of the New Super Mario Bros. U equation. But, before I get to that, let’s talk about what has me dying to play Mario’s first Wii U platformer. As a straight platformer built on Mario power-ups and mechanics, New Super Mario Bros. U feels like it will fall in line with the rest of the franchise in terms of pure quality. I can almost guarantee, after playing the title both during E3 and at the event in New York, that this will be a strong game. That’s because the things that worked well before work well now, too. 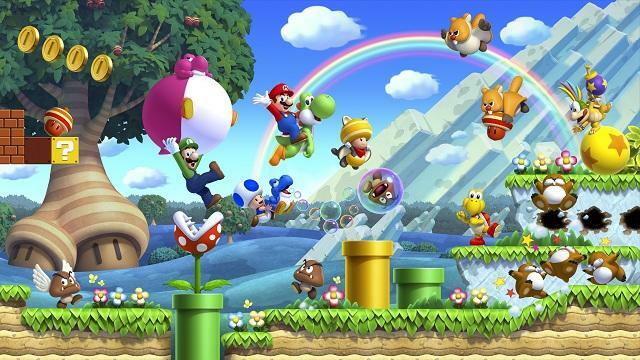 There’s also an idea floating around that New Super Mario Bros. U is the spiritual successor to Super Mario World. If that’s the case, I can’t wait to experience that added charm in this title. For now, things like the basic platforming elements feel solid. Playing with the Wii Remote feels exactly like it did on the standard Wii entry in this New Super Mario series. The new power-ups are cool (those that we’ve seen), and the added modes will bring a whole breadth of new variety to the experience. In fact, those added modes are really the biggest entirely “new” features I’m really looking forward to. The idea of objective-based play through levels is one that both intrigues and excites me. As a fan of Mario, it’s exciting to hear that I’ll be specifically challenged to never touch the ground in a level or collect as many 1UPs as possible. However, going back to the thing that’s made me question this title, the GamePad play has been a little lackluster. When I use the GamePad in titles like Nintendo Land, I’m excited to do it. The controller provides an entirely new way to experience games that I’ve been playing forever. It’s fun, it’s unique, it’s cool. 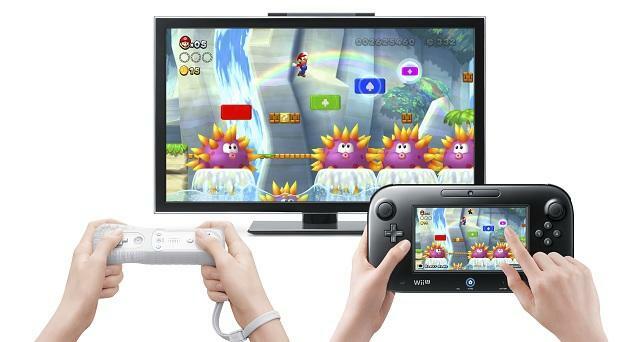 With New Super Mario Bros. U, the GamePad play hasn’t been all that exciting for me. You’re tasked with providing the Wii Remote users platforms to jump on. You can tap stuff in the environment to alter it, and you can even enter a bonus mode where you can defeat enemies. But, really, your main job is just giving your friends a stepping stone. Unfortunately, it’s not all that fun. Maybe at home when I’m playing with someone I know really well the GamePad side will feel both important and enjoyable. I do like the idea that two players will combine their efforts in different ways on the path towards speedruns and feats of Mario skill. Here at preview events, though, the GamePad play is boring in New Super Mario Bros. U. Which stinks! It’s so much fun elsewhere. Nintendo’s yet to reveal all the modes this new title packs, so I’m hoping there’s a lot more to do with the GamePad than place blocks in people’s way.